I love green as all my friends and many acquaintances know. 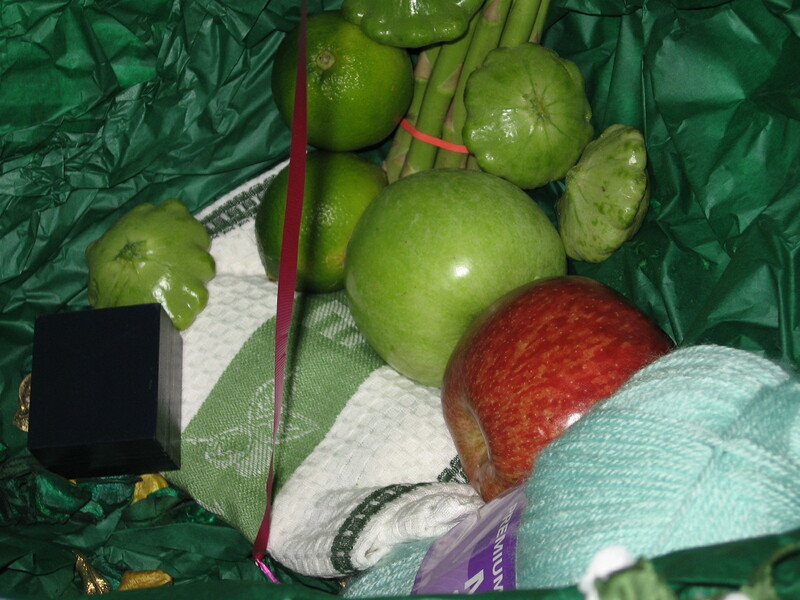 So much so that this picture shows part of a ‘basket of green’ wedding present! How about you? What do you think of when someone says green? Glittering emeralds, lush foliage, butter soft moss, deep seas, cute frogs, velvet soft grass, crème de menthe, malachite, limes, asparagus, clover, the 40 shades of Ireland? So many greens, so little time. So what’s the consensus? As with so much in life there are the good, the bad and indifferent. Few things are all good or all bad. It’s a matter of perspective, seeing things through the eyes of your past, your experiences. Wow! Who knew there was so much to say about Green! And yet, I’m sure there is a lot more.